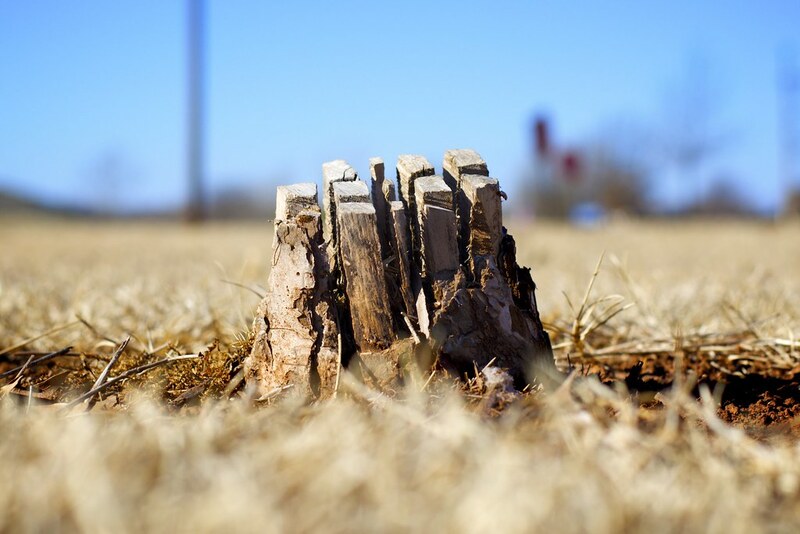 I was walking around with my son on a nice day recently, and came across this small tree that had been decimated by some landscapers. I’m not sure why they sliced and diced the trunk after felling the tree, but I assume it’s a way of ensuring that the tree will be gone for good. Leaving all those gaping wounds no doubt allows for moisture and insects to permeate the stump and speed the decomposition process. Still, I can’t help but think of new beginnings when I see things like this: no doubt the tree was removed for a reason, which was likely so another one (or more) could be planted in its place. At least, that’s the story I’m going to tell myself :) I also took another version of this photo from directly overhead which you can see on my Flickr page which I think is interesting but not as compelling. It’s not entirely obvious that the photo is of a tree, and it doesn’t have the same sense of depth and context that this one does. This is also the first Weekly Fifty photo I have taken with my new Nikon D7100, and I must say I am pleased with the results. If you click through to the Flickr page and view the image at a larger size you will notice how sharp and detailed the bark on the stump is, and while I think my D200 could achieve similar results at low ISO values, it’s nice to know the D7100 leaves plenty of room for cropping afterwards as well.